Can science fiction be a form of social activism? Walidah Imarisha thinks so, and she's recruited everyone from LeVar Burton to Mumia Abu-Jamal to help her prove it. "Whenever we try to envision a world without war, without violence, without prisons, without capitalism, we are engaging in an exercise of speculative fiction," writes Imarisha in Octavia's Brood: Science Fiction Stories from Social Justice Movements, an anthology of short sci-fi stories co-edited by her and Adrienne Maree Brown. "Organizers and activists dedicate their lives to creating and envisioning another world, or many other worlds, so what better venue for organizers to explore their work than through writing science fiction stories?" Although the anthology features established names and writers like LeVar Burton, Tananarive Due and Mumia Abu-Jamal—who shares an essay about Star Wars and imperialism—the editors reached out to lesser known social activists and organizers as well, including some who had little to no experience with fiction and science fiction. Some were initially hesitant to participate, but Imarisha says that simply creating the space for them had a powerful impact, and that most responded within a few weeks with "incredible ideas and some with dozens of pages already written... The writers in this collection just need a little space, and perhaps permission." The editors were also particularly interested in including the voices of people from marginalized backgrounds in Octavia's Brood. "For those of us from communities with historic collective trauma, we must understand that each of us is already science fiction walking around on two legs. Our ancestors dreamed us up and then bent reality to create us." The anthology's title is a reference to the celebrated black science-fiction writer Octavia Butler, whose work often explored issues of inequality and identity. As with many anthologies, some of the stories in Octavia's Brood are hit or miss, but most are quick, short-story trips to distant or disturbingly familiar worlds that offer insight into our own. Highlights include "Revolution Shuffle" by Bao Phi, a story about a work internment camp for people of color set during a zombie apocalypse, and "The Long Memory" by Morrigan Phillips, about a society rejecting the wisdom of the intergenerational memory-keepers who act as their historians—and their conscience. 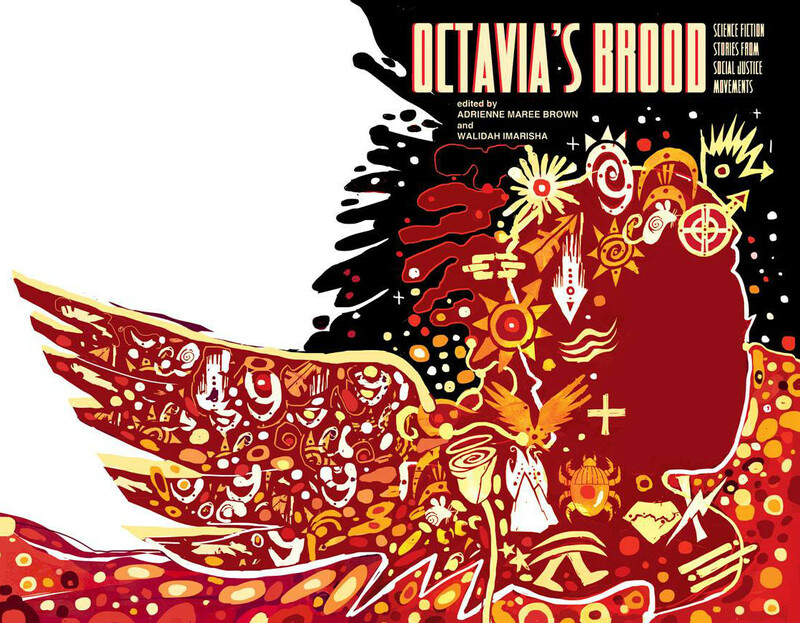 Imarisha calls the progressive strain of sci-fi in Octavia's Brood "visionary fiction," defined by its insistence on imagining freer and more liberated worlds or critiquing injustice, rather than uncritically recreating the power structures of the world as we know it in fantastical garb. "Visionary fiction encompasses all of the fantastic, with the arc always towards justice," writes Imarisha. "We believe this space is vital for any process of decolonization, for the decolonization of the imagination is the most dangerous and subversive form there is, for it is where all other forms of decolonization are born. Once the imagination is unshackled, liberation is limitless."